Allie Leslie recently graduated with a Bachelor of Arts in Music and an Emphasis in Musical Theater from California Lutheran University. Beyond her studies at Cal Lutheran, she has completed several music and theater summer programs in Mezzano, Italy (Music Academy International), Vienna, Austria (IES), and Cincinnati, Ohio (Conservatory of Music at the University of Cincinnati). Recent musical theater roles include Our Lady of the Spa in Nine, Kitty in Drowsy Chaperone, Queen Isabella in Chamber Music, and Beth understudy in Tender Land. 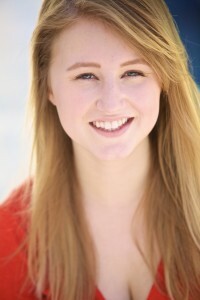 In addition to her stage experience, Allie has sung with several ensembles including the New West Symphony, California Lutheran University Choir and Women’s Ensemble, and the Blue Lake Fine Arts Camp Vocal Ensemble and Staff Choir. Allie has a variety of performance skills as an actor and musician including musical theater, opera, improvisation, and ukulele.